The Deal: Purchase 10 gallons of fuel at select Shell Stations and receive a voucher good for one free adult lift ticket when you purchase another. The Dates: January 4, 1010 to April 16, 2010. Check list below for any variations and blackout dates. The Fine Print: One voucher per fill up. One voucher per visit. Our Take: The Ski Free Deal is one of our favorites and we’re ecstatic to see even more resorts added to the program. Frequent roadtrips to SLC last year meant we stocked up on a bunch of these coupons. 49 Degrees North – SKI FREE™ every Monday. Offer is valid thru 3/28/10. Blackout days: 1/18/10 and 2/15/10. Crystal – WA SKI FREE™ on Tuesdays. Offer valid 3/2/10 thru 4/13/10. Loup Loup – WA SKI FREE™ Wednesdays. Offer valid only during January and February. Blackout days: 1/18/10 and 2/15/10. Mission Ridge – WA SKI FREE™ Thursdays. Blackout days: 1/18/10 and 2/15/10. Stevens Pass – WA SKI FREE™ Thursday nights 3pm-10pm. Offer closes 2/18/10. Blackout days: 1/18/10 and 2/15/10. The Summit – WA SKI FREE™ on Mondays. Offer valid 3/1/10 thru 4/13/10. White Pass – WA SKI FREE™ on Tuesdays. Blackout days: 1/18/10 and 2/15/10. Apple Mountain – SKI FREE™ Monday thru Friday. Blackout days: 1/18/10 and 2/15/10. Bittersweet Ski Area – MI SKI FREE™ Monday thru Thursday, Fridays before 3 p.m. and Sundays after 3 p.m. Blackout days: 1/18/10 and 2/15/10. Boyne Highlands – MI SKI FREE™ Sunday thru Friday. Not valid on Saturday. Blackout days: 1/17-18 and 2/14-15. Boyne Mountain – MI SKI FREE™ Sunday thru Friday. Not valid on Saturday. Blackout days: 1/17-18 and 2/14-15. Caberfae Peaks Ski Resort – MI SKI FREE™ voucher valid all week. Blackout days: 1/18/10 and 2/15/10. Cannonsburg Ski Area – MI SKI FREE™ Monday thru Friday. Blackout days: 1/18/10 and 2/15/10. Cross Country – MI SKI FREE™ voucher valid all week. Blackout days: 1/18/10 and 2/15/10. 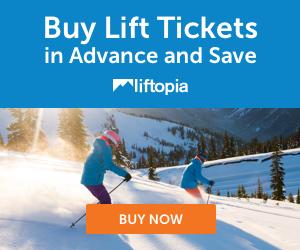 Crystal Mountain – MI SKI FREE™ Sunday thru Friday. Not valid on Saturday. Blackout days: 1/17-18 and 2/14-15. Hanson Hills – MI SKI FREE™ Friday thru Sunday. Blackout days: 1/18/10 and 2/15/10. Homestead Resort – MI SKI FREE™ Friday thru Sunday. Blackout days: 1/16-18 and 2/13-15. Norway Mountain – MI SKI FREE™ Monday thru Friday. Blackout days: 1/18/10 and 2/15/10. Timber Ridge Ski Area – MI SKI FREE™ Sunday thru Friday. Not valid on Saturdays. Blackout days: 1/17-18 and 2/14-15. Big White – BC SKI FREE™ Monday thru Friday. Blackout days: 1/18/10 and 2/15-19. Whistler Blackcomb – BC SKI FREE™ Sunday thru Friday. Not valid on Saturdays. Valid: Jan 4-15, Jan 19-Feb 5, and April 6-May 24. Hoodoo – OR SKI FREE™ Thursdays 9am-4pm and Fridays 4pm-9pm. Blackout days: 1/18/10 and 2/15/10. Mt Hood Meadows – OR SKI FREE™ Monday thru Thursday, Fridays before 3pm, and Sundays after 3pm. Blackout days: 1/18/10 and 2/15/10. Willamette Pass – OR SKI FREE™ on Fridays 12:30pm-9:00pm. Blackout days: 1/18/10 and 2/15/10. Monarch Mountain – CO SKI FREE™ Sunday thru Saturday. Blackout days: 1/16-17, 2/13-14, and Spring break 3/12-22. Brundage – ID SKI FREE™ on Tuesdays. Blackout days: 1/18/10 and 2/15/10. Lookout Pass – ID SKI FREE™ Mondays. Blackout days: 1/18/10 and 2/15/10. Lost Trail – ID SKI FREE™ Wednesdays. Offer valid only during March and April. Blackout days: 1/18/10 and 2/15/10. Pomerelle – ID SKI FREE™ Tuesdays and Wednesdays (Both day and night skiing included). Blackout days: 1/18/10 and 2/15/10. Grand Targhee – WY SKI FREE™ Monday thru Thursday. Blackout days: 1/18/10 and 2/15/10. Sierra at Tahoe – CA SKI FREE™ Sunday thru Friday. Blackout days: 1/16-18 and 2/13-15.